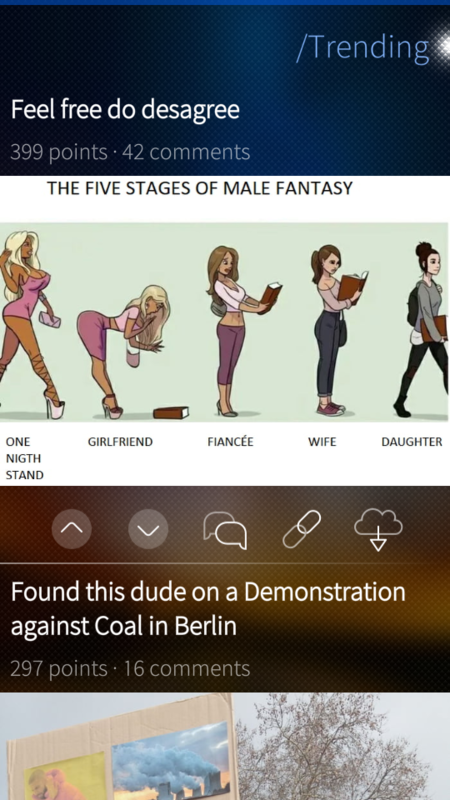 GagBook is an unofficial client for the 9GAG.com website that allows you to easily browse the content with a simple, smooth and native user interface. GagBook brings the fun to your device. It is light, fast and easy to use. It is so easy to kill time by viewing funny memes and videos from 9GAG.com. Just try it and you will love it. This GagBook fork uses the undisclosed official 9GAG.com API as data source. Finally you are able to spend your time browsing the content again after GagBook was not working due to a website change back in December 2017. View posts in different sections, e.g. Hot, Trending, Fresh, etc. Sometimes the download-bar stalls and does not finish, a workaround is to disable and re-enable your data connection. Please let me know if you notice a pattern or find a way to reproduce this. I will update GagBook to fix bugs and implement new features. Bugs: Please report bugs, issues and your idea of improvement on GitHub or in the comments below. Just a small correction: login works with user name, too. Well, I only tried my username and it worked. I missed feature/option to capture also title of 9gag post. I mean when I want download and save some picture or video, it only saves the picture and video but not title.. So for now I need to take screenshot.. Would be nice to have feature to pick also title of post. First I planned to implement this by writing the title into the file's metadata (EXIF data) but there is no uniform Qt API to do this for images and videos (it's just possible for images atm). Then I implemented this by writing the title into the filename but this caused issues on SFOS to the extent that files with a long name couldn't be opened. Anyway you may want to use some workarounds: The current filename contains the id of the post so you are able to open the original post in a browser. Another way would be to login to your Account in GagBook and upvote the posts. This posts will be shown in your Account. 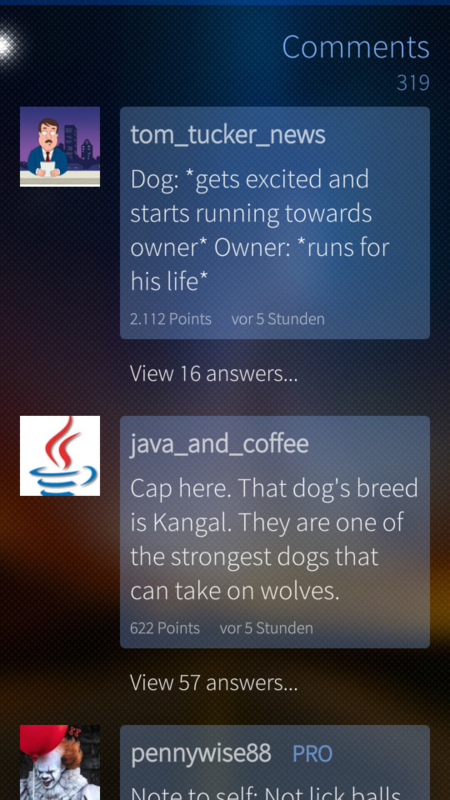 Later I also plan to implement the feature to show this liked posts inside GagBook. Very good 9gag client, smooth and clear, love it ! Any plans about translations ? Would be great if that app could be translated via Transifex or similar ;-) Cheers ! Brilliant! Thanks for your effort.